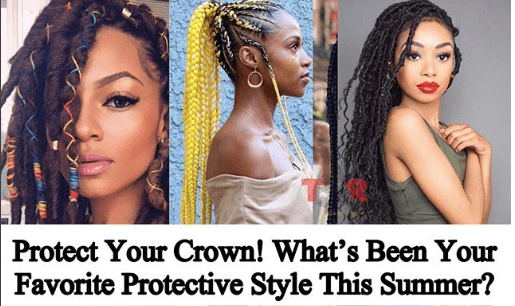 #TSRHairDosAndDonts: What’s Been Your Go-To Protective Style This Summer? #TSRHairDosAndDonts: #Roommates, what’s been your go-to protective style this summer? Natualistas KNOW that protective styles are ev-ery-thing when it comes to protecting your natural curls and retaining hair growth, especially during the summer months. These styles don’t require much daily maintenance, and whether you choose braids, locs, twists or bantu knots, you are guaranteed to be a certified baddie!